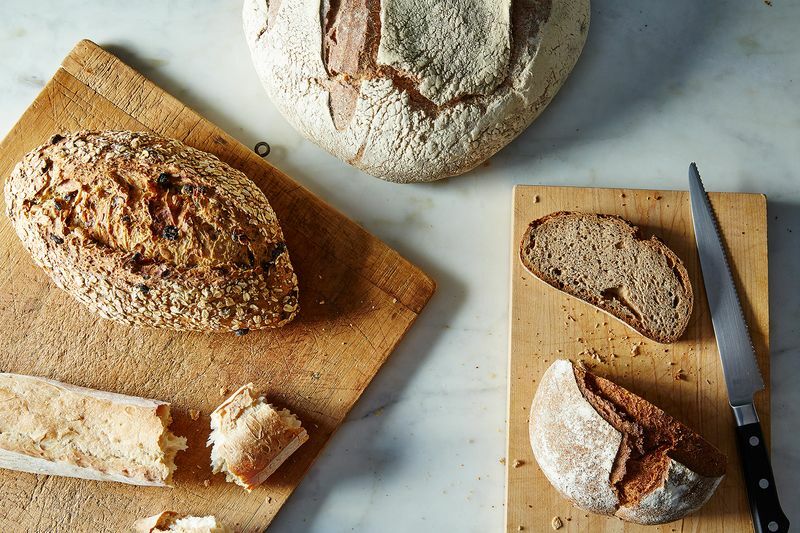 In celebration of Le Pain Quotidien's 25th anniversary, and inspired by a seasonal lunch and bread-baking demo with them, we're sharing recipes and all-year-round tips for breaking bread together. Today: Take your loaves and freeze it right there. Handsome frozen boules, baguettes, and loaves from Le Pain Quotidien. Freeze loaves within a couple days of buying. Since baguettes are best the day they're baked, freeze them a.s.a.p. and preferebly within the day. You can slice loves and wrap individual slices in plastic wrap, and then store in a resealable plastic bag. Alternatively, you could wrap the loaves whole so they retain their moisture. Plastic bags work well for this, making sure to remove as much oxygen as possible when sealing. The bread needs to thaw completely before unwrapping. Let it sit on the counter for two, three, four hours or until the loaf comes to room temperature. After they've thawed, put the loaf in the oven at 350°F for 10 minutes or so for just-as-fresh-as-before bread. Let rest for 10 minutes or so (this will retain moisture) before slicing. Use as you would any other bread. The same loaves, defrosted (and even more handsome, because they're ready to eat). For baguettes, you can brush the outer crust with a little water before placing in the oven for boulangere-worthy crunch. Nothing says happy holidays like stuffing—especially when you can prep the bread ahead of time. Slice and cube your loaf, semi-freeze said cubes in a layer on a parchament-lined baking sheet, and transfering them to a plastic bag to later be thawed and used. Once you've thawed your bread, try to eat it within a few hours and don't re-freeze the loaf—you can't avoid staleness forever. Have a bread defrosting tip? Tell us in the comments below! In celebration of Le Pain Quotidien's 25th anniversary—and their use of fresh ingredients—we're sharing seasonal recipes and all-year-round tips for breaking bread together. I make my own mini baguettes (b/c there are only two of us, so I don't want a bunch of bread to go stale, especially after all the time I put into it!) and I just pop one straight in the toaster oven while I'm cooking. If I have leftover bread, I find it goes stale very quickly, so I do make it into breadcrumbs, or in the summer make panzanella. 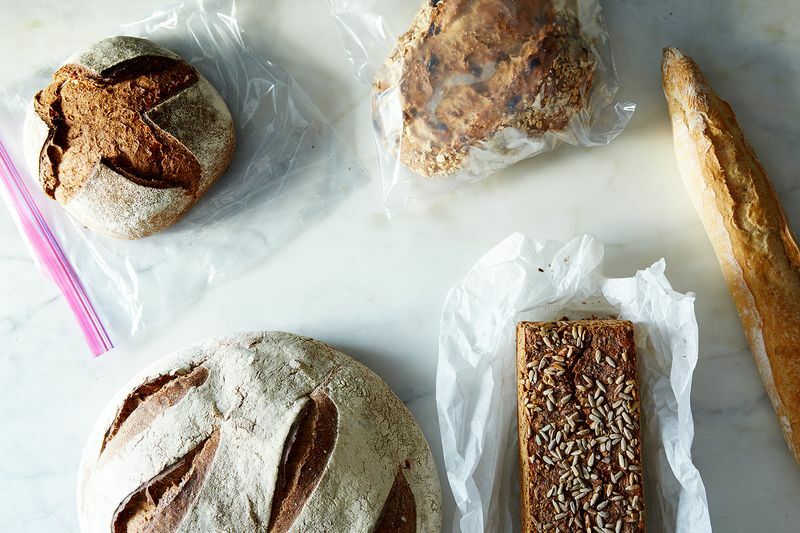 What if you have leftover bread after you've thawed it? Can you refreeze it and do the whole process again? I've done this. I think it's fine if you toast the re-frozen bread before eating.